Casey Stoner on the gas in Qatar. 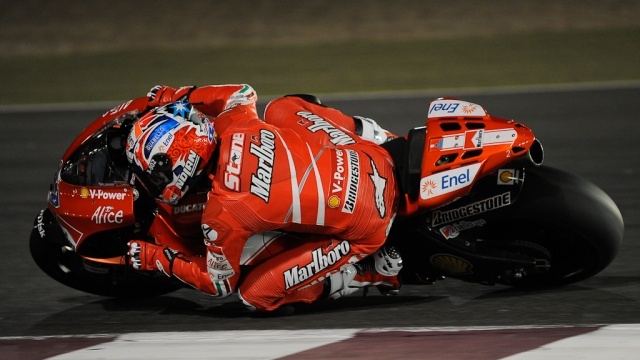 Photo courtesy of Ducati Team, all rights reserved. 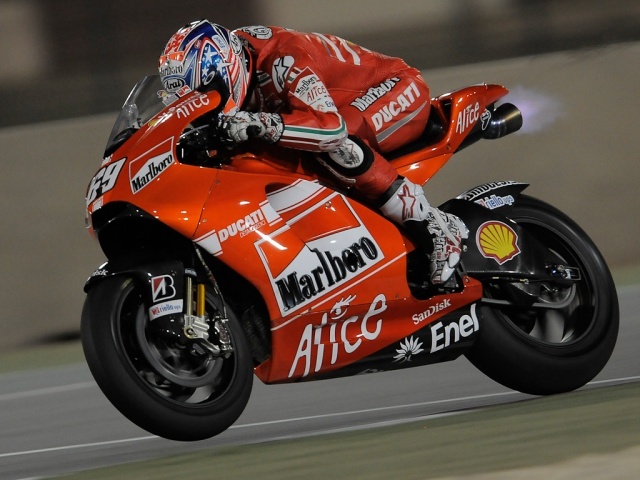 Nicky Hayden power wheelies his Marlboro Ducati. Photo courtesy of Ducati Team, all rights reserved. 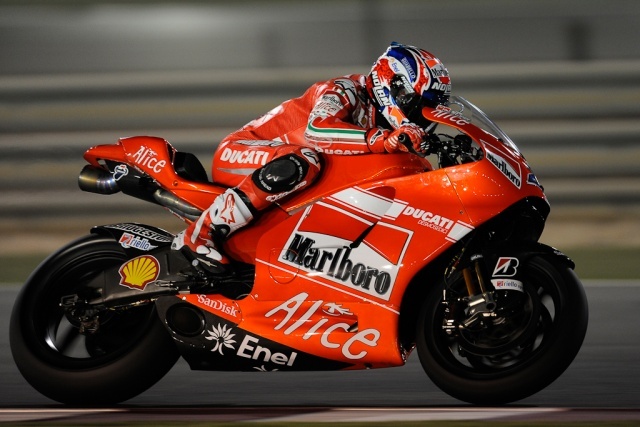 Casey Stoner laying down a fast lap during Qatar test session. Photo courtesy of Ducati Team, all rights reserved. 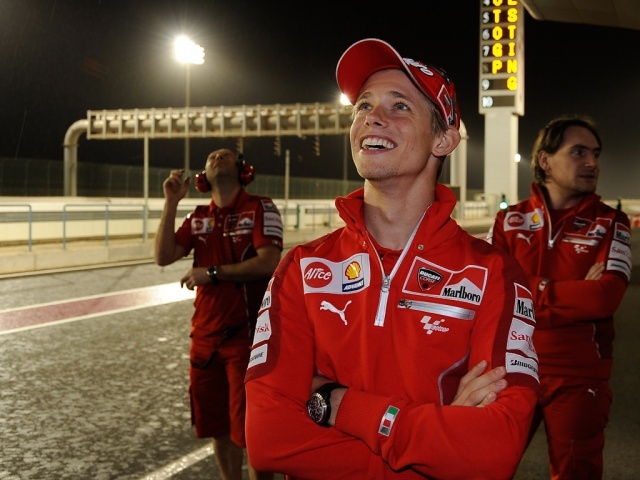 Casey Stoner and Ducati Team members surprised to see rain in Qatar. Photo courtesy of Ducati Team, all rights reserved. 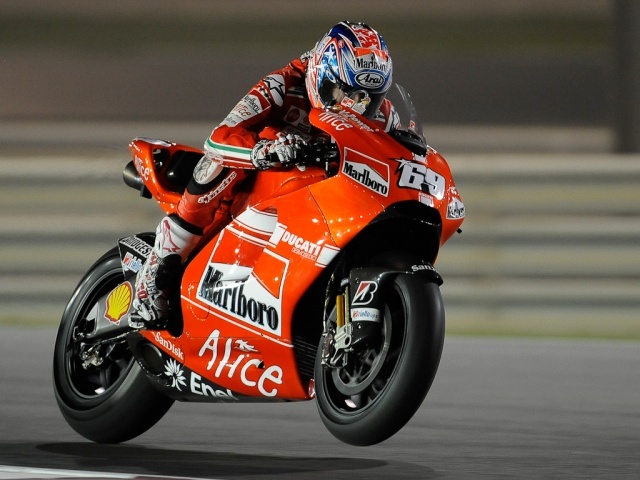 Nicky Hayden riding the Marlboro Ducati in testing. Photo courtesy of Ducati Team, all rights reserved.